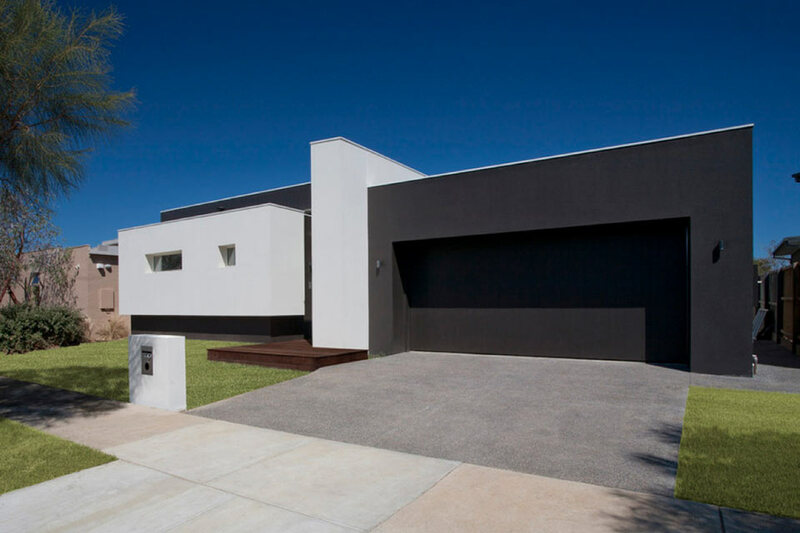 A modern masterpiece with the golf course right outside its back door! 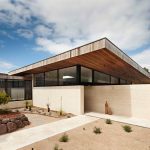 The client’s brief was to design and build a home that was both contemporary and spacious with views of the adjoining golf course. 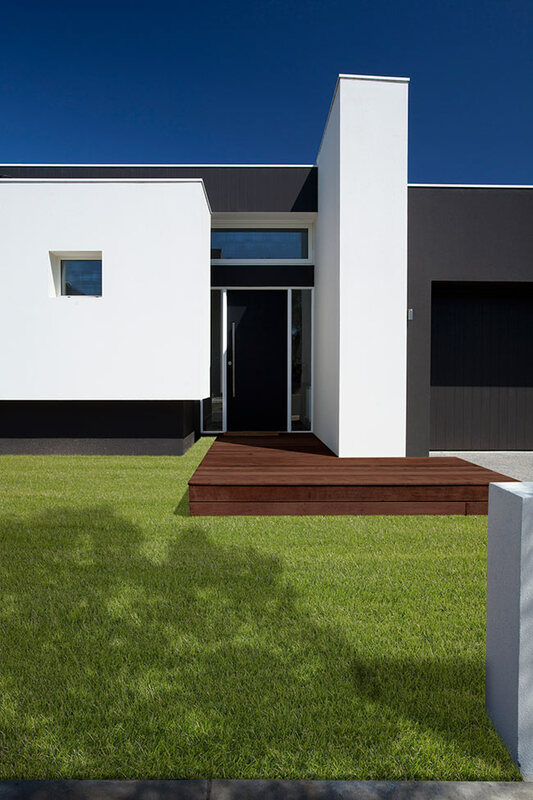 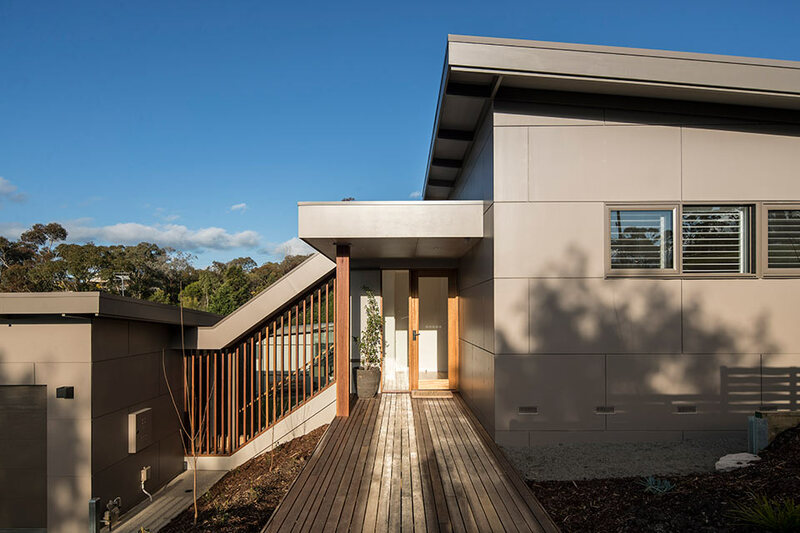 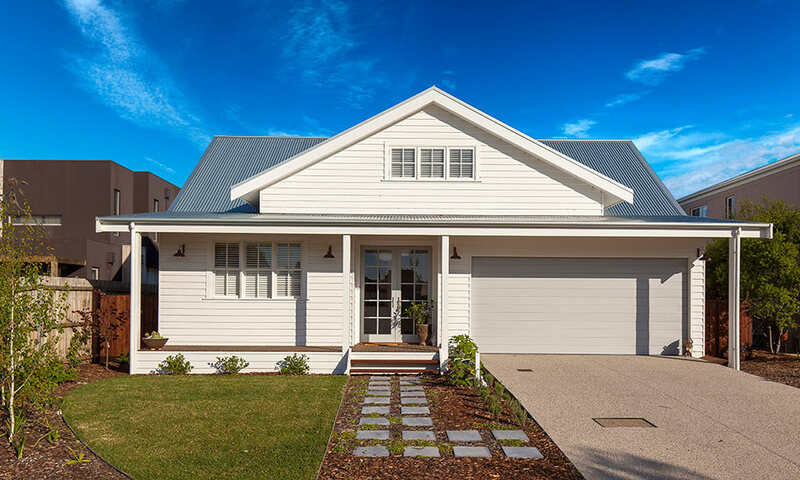 The crisp charcoal and white rendered exterior makes a bold statement while the spotted gum entrance deck and soft landscaping adds a touch of earthiness and welcome to the visitor. 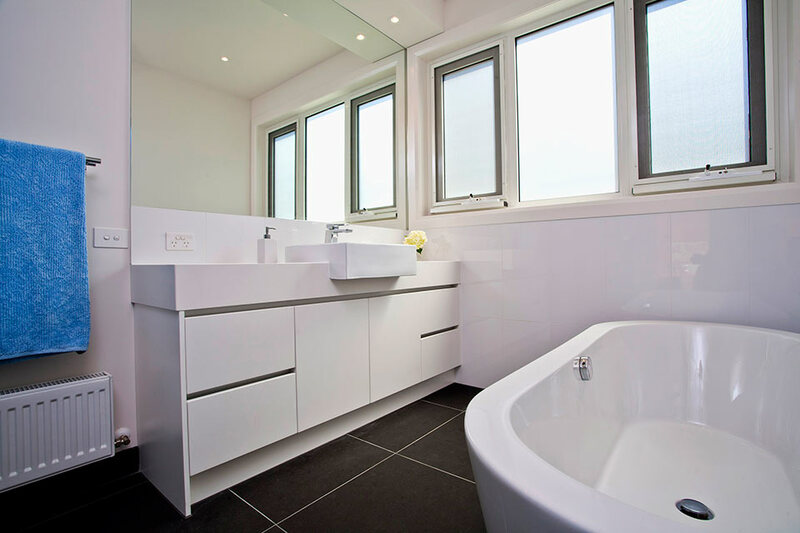 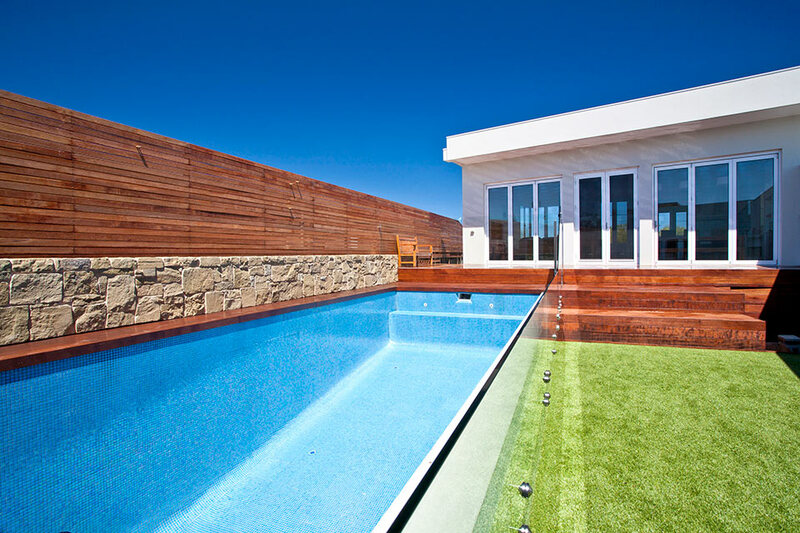 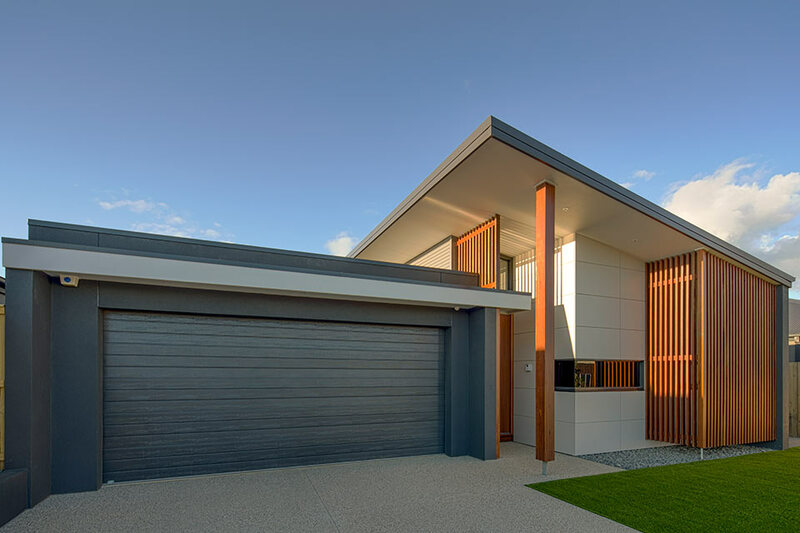 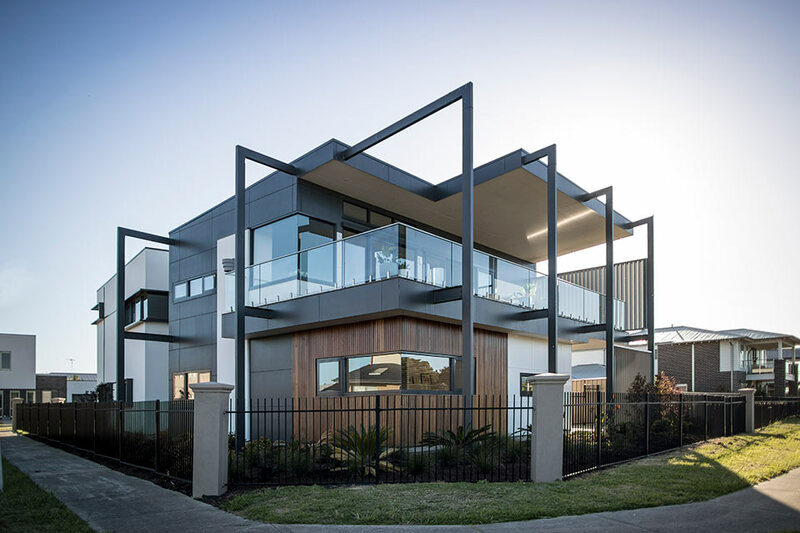 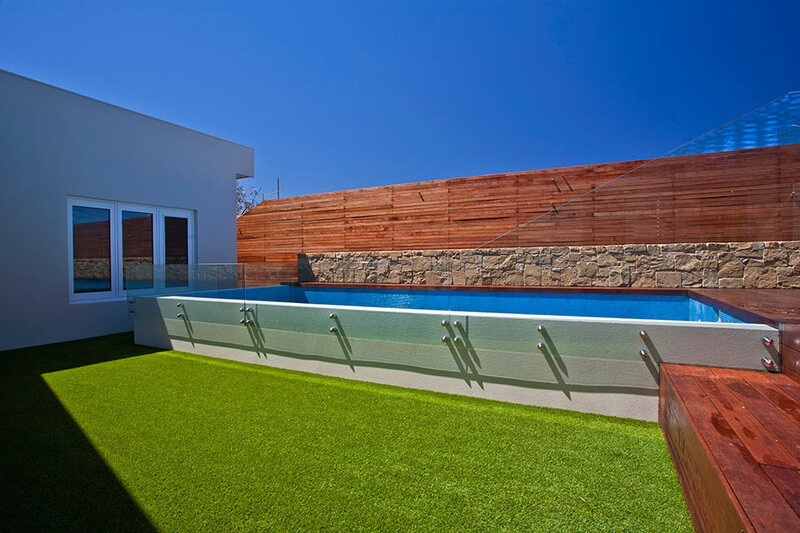 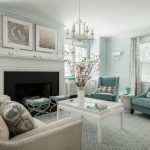 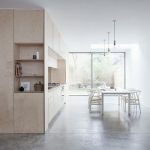 High quality workmanship, finishes and the products used throughout ensure this house is a stand out. 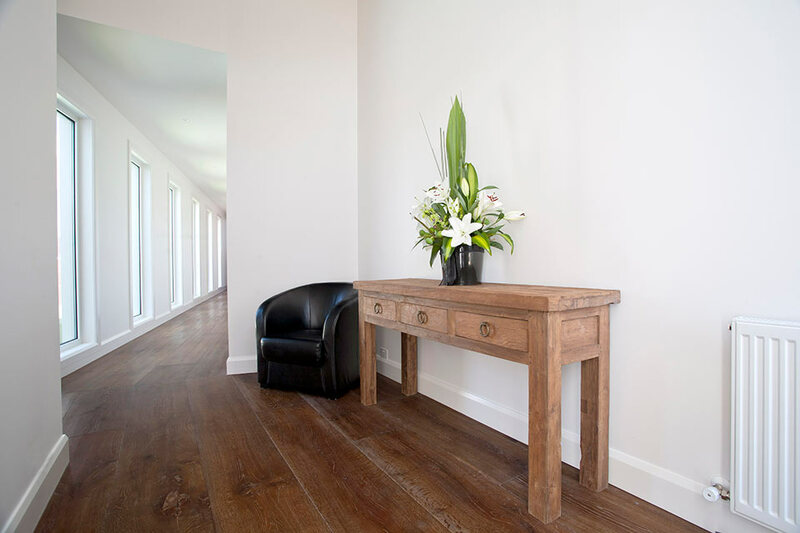 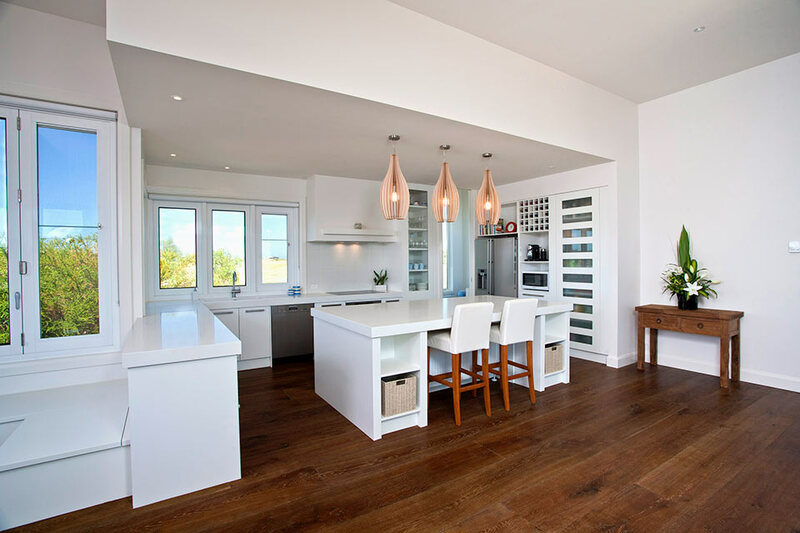 European Oak engineered floorboards contrast beautifully with the pristine white granite bench tops and two pack kitchen. 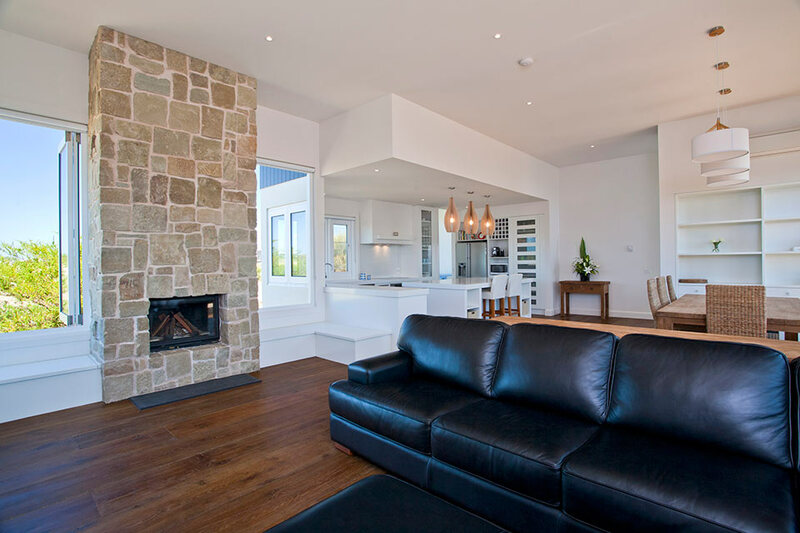 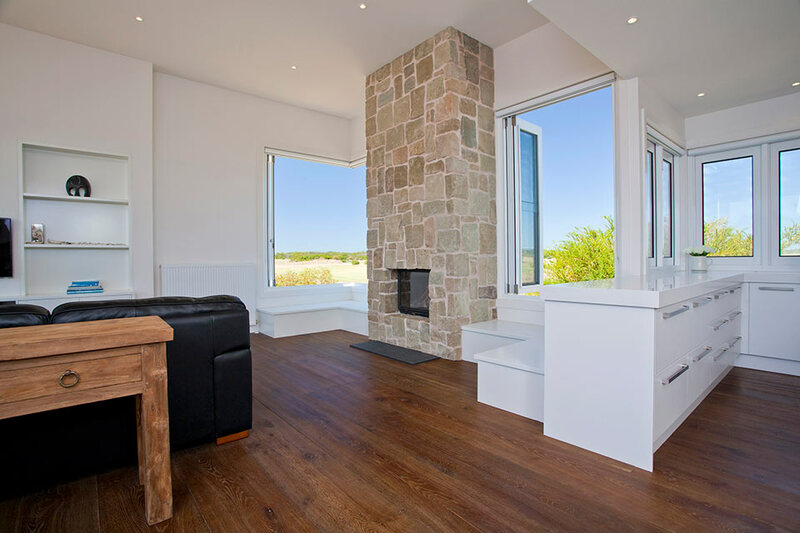 White double glazed casement windows with built in window seats invite you to sit down and take in the views of the neighboring golf course and if that isn’t enough there is a stone chimney with fire to cozy up to in winter. 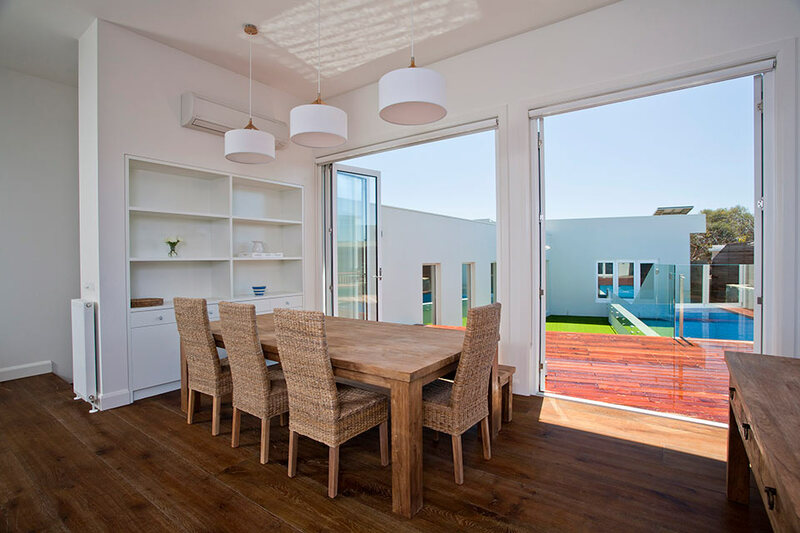 Bifold doors face the north and allow easy access to the deck and pool area.